Super Mario Maker is now rather close, and there's every chance that the Wii U exclusive will be regarded as a key turning point for 2D Mario gaming in years to come. Having spent some time with the final build, it's clear to us that Nintendo's finest have been truly devoting themselves to this most worthy of celebrations. Much has already been revealed about this game, though some secrets are still off the cards - what we will say is that the charm and whimsy seen so far is a good indicator of more to come. 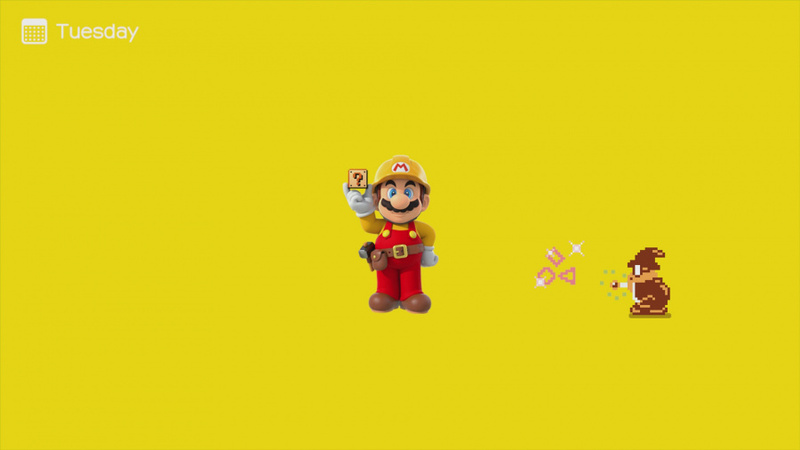 Your writer isn't sure a game has raised so many involuntary smiles in recent memory, and Super Mario Maker can achieve something that may have seemed like a distant prospect only recently - it's made 2D Mario platforming truly fresh and exciting once again. Right from the beginning you have two stark choices for your entertainment - Create and Play. There is some potential crossover, yet each will offer enticing experiences in their own ways. To start with the Create aspect, which is such a major selling point for the title, it has brilliance and minor frustrations in equal measure early on. The frustration is in timed unlocks, bringing to mind an experience like Animal Crossing: New Leaf in terms of the real-time patience that's required. On day one your options are very limited, and as we've been too chicken to mess around with time settings on our hardware there's been plenty of handholding in the early stages. The intention is noble - there's a huge number of options and tools in the overall package, and by limiting access to small batches unlocked over the course time you have a chance to become accustomed and skilled in their use. In truth we'd like a manual override in the game itself, as to have lovely ideas that are required to wait for a few days is a peculiar early frustration. This is only an issue due to the strength of the creation tool, however. Utilising the GamePad touch screen, it is brilliantly put together, with the briefest of day one tutorials enough to have you intuitively placing blocks and designing levels in no time. At preview events in busy halls or press events your writer has, in truth, previously struggled to truly get hold of it. Yet in the comfort of home with our own Wii U it comes together right away; the setup is carefully crafted. Its extremely charming, too, with functional menus represented by cute icons and silly animations. There's a flying dog thing, Coursebot for saving and loading creations, and sometimes you need to swat flies, because why not? Little touches add to the charm, such as the music reacting dynamically to your work, and in relatively little time we created a level of which we're relatively proud, albeit a bit shy of its simplicity. Uploading is extremely quick - you're prompted to clear the level, confirm the name and that's it. 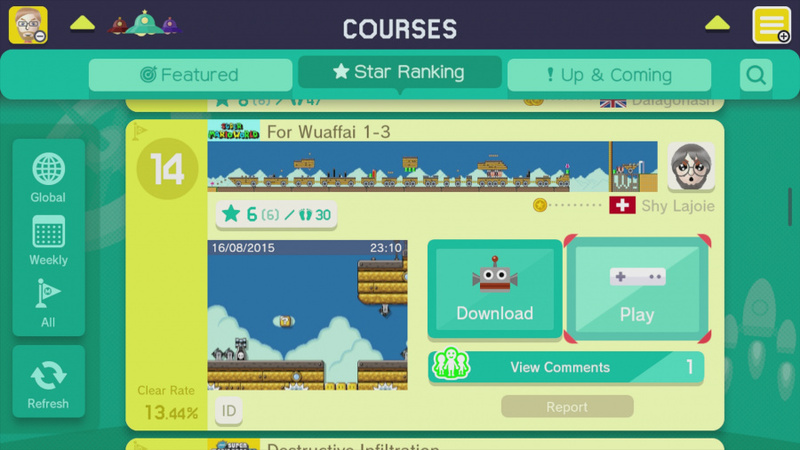 To start with you're limited to 10 uploads - though you can delete courses to free up the allocation - and you can earn more slots in the form of medals earned via the Star recommendation system. If people like your levels you can share more. The 'Create' aspect is, based on early impressions, living up to the hype - easy-to-use, fun and deceptively powerful, the possibilities feel extraordinary, especially when we consider the new items, mechanics and template swapping between four 2D Mario classics. The inclusion of some incredibly pleasing amiibo support is notable (though they're limited to retro templates) - one we are allowed to mention is Donkey Kong, who is a lot of fun - and a gaggle of smile-raisers include Mario being able to wear shell helmets; this is Mario platforming the like of which has never come out of Nintendo's offices. Which brings us to 'Play'. As confessed Mario platform-aholics we jumped into the 10 Mario Challenge mode to tackle pre-loaded stages. Though these are the work of Nintendo's teams they aren't simply 'normal' stages like those seen in New Super Mario Bros. U, for example. Evidently design rules and documents were ditched in favour of a simple policy - show off the available items and tools. Tackled with 10 lives at a time - though 1-Ups can be earned - you work through eight levels in one sitting to represent a 'World', but the resulting levels beautifully showcase just what that Create mode can do. Some stages are cleared in 20 seconds with a bit of skill, others are clever 'remixes' of recognisable stages, and others are ambitious and crazy efforts. There's less concern with structure and more focus on short thrills, and they also show off the depth of the game's tool-set and how it takes the existing templates and goes to another level. Examples include the recently revealed sound and visual effects, with the former having custom recording options. You may spark mini-fireworks by stomping a larger enemy, or go into a familiar hidden area and be greeted by a Mario-style rave and light show. Its insanity of the best kind, and it pushes both nostalgia and discovery at the same time. The discovery truly takes on another level when finding user-created levels, of course. While our build is final it's running with custom 'review' servers, with stages largely created by Nintendo staff; with unlocks and confidence come clever efforts from reviewers, Let's Play YouTubers and more, too. The layout is familiar by now, and it does a lovely job of showing the game template used, the clear percentage, number of stars given and a preview of the entire level in a zoomed out perspective. The process of discovery is somewhat addictive, with more time melting away than we expected when browsing and playing the available stages; goodness knows how much time with be lost when thousands upon thousands of players are uploading levels. The search options will be vital when that happens. If you like a stage there are multiple options, too. You can give a star, share Miiverse feedback and download the course to add to your own collection; you can even then edit and tweak that downloaded course, though it has a distinct icon to show that it's not an entirely original creation. The potential of the sharing and community aspect is enticing, and it's pleasing that - in this review build - the processes are exceptionally fast. Nintendo has evidently found clever and economical ways to process and store these levels as data, as navigating around levels, playing them and saving them is remarkably slick and snappy. Therefore Play and Create come together rather well, and that relationship between the two attractions is indicative of the overall strength of this package. Super Mario Maker feels like a Nintendo game with no shortcuts or rushed compromises, and has evidently been a project carefully nurtured and prioritised. From the substantial functionality to the beautiful re-creation of 8- and 16-Bit Mario templates in HD, this really is shaping up to be the ultimate 2D Mario experience. 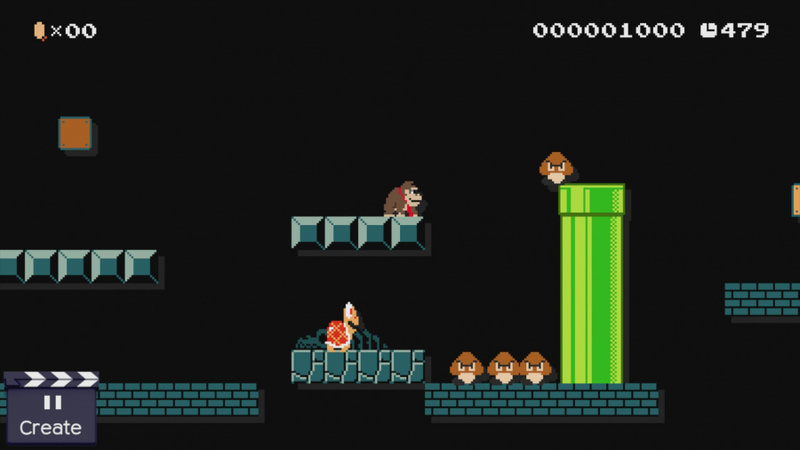 If you're a fan of retro Mario - this is designed for you. If you're a fan of modern Mario - this is still designed for you. The cohesion, shine and creative spark on show feels like Nintendo at its very best. 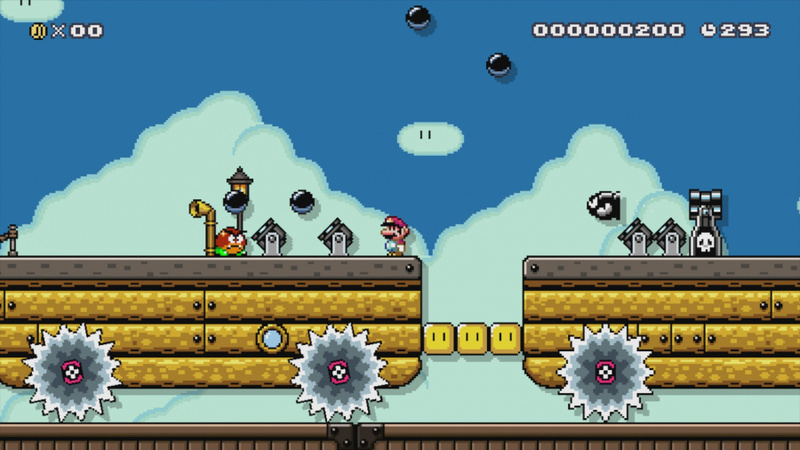 We have some way to go yet in experiencing all of Super Mario Maker, but we're excited about what it delivers. It feels like a true leap forward for the Super Mario franchise, and that's a thrilling prospect. Why do I feel like I've read this article before? I've read "previews", "first impressions", "Mario memories"... When will the madness ever end?!? On Miiverse I saw a Toad with a speach bubble in a scene that looked like the ending of Lost Levels..what't that about? Hoping for (yet not expecting) a suprise overworld or stage linking tool! The random levels will suffice, but imagine making whole worlds with difficulty curves and themes! In concept, this is one of the most revolutionary things for an international company to do. Open sourcing the intellectual property within reasonable community bounds we’re going to get to infinite mario very soon. They should leverage this concept into other franchises in the future as well. Anyone know how to get one's self put into suspended animation? Or heck, freeze me in carbonite. I just want it to be September already. @DarthNocturnal Yes. I'll tell you for $1000000. @-Godot What other games are there to talk about? I've got $5 down on a pre-order at GameStop on this. Hopefully there's a pre-order bonus. So excited for this game! @ThomasBW84, when are we getting a full review? Interesting read, I learned some new things but, to be fair, I haven't been following this game THAT closely. The fly-swatting thing mentioned sounds like a Mario Paint easter egg, which would be amazing, I loved that mini-game! I didn't realize the amiibo costumes would be limited to the retro templates (I'm hoping that means 8-bit AND 16-bit because all I've seen is 8-bit) but I guess it makes sense. Overall, I'm pretty excited for this. It looks like it will consume a fair bit of my time and get me back on my Wii U more often. @abbyhitter It's a 30th anniversary poster as of now. @-Godot This is what a slow summer will do to all of us. With virtually no news of substance since E3 (2 months ago), the summer has been crawling along for all things Nintendo. At least SMM is deep enough to analyze a lot. It would be rough if the headliner in the fall was Yoshi. Nintendo has to do something about this window release schedule. I know they have their targets but it's either feast or famine. Nothing has released since Splatoon in late May and it's just about September. Then, we run a gambit of a monthly releases for the Wii U and 3DS. My guess is the run will take us all the way to April - May next year. Then, nothing again! @-Godot Erm, Mario Memories have nothing to do with impressions of Mario Maker, they're to celebrate the anniversary. Our previous impressions were from brief plays at press events and expos, whereas this is based off the final build. @Tulio517 When the embargo ends! Finally, a Wii U game that'll keep me occupied until SFZ. AAAAGH! I can't wait anymore! This is literally something I've wanted for years! I wonder if this means Nintendo is ditching the NSMB series? I hope so. God knows I won't need any more Mario platformers when this infinite Mario creation tool releases soon. Seriously, this game looks soo good. Im downloading it on day 1, but still jealous of America, who get to pre-download it, but that's a whole different debate. The only feature that I want that isn't here already is to be able to send levels to Friends before posting them on Miiverse for the whole world, but it doesn't matter if it isn't here - Super Mario Maker for the win! @Ralizah - If so, I would like to have Luigi, Toad, and Peach like in SMB2 style in the form of DLC. Amiibo less would be best. I wonder if my Mario Amiibo will work. @themightyboost yeah! that feature is available on the fan-made, free Super Mario Bros. X, so Nintendo better include it! Nintendo are aware of SMBX, having sued it a couple times so maybe this will come up. I already know I will Play far more than I will Create, but that won't change a thing. I can't wait. @Kirk It's less a question of if people will make "regular" levels and more a question of whether people will want to play those levels with everything else out there. I guess we'll find out, but I'll be making some, too. I doubt I can make anything what would be considered good, but it'll be fun to mess around with for sure. Playing other peoples' levels could help me brainstorm. When/where are the 8-Bit Mario Amiibo's going to be available in US? @aaronsullivan Yeah, I actually kinda worry about that too; although I'm hoping most people will slowly but surely learn to differentiate between just a lot of hastily and amateurishly cobbled together silliness and actual quality levels you can get genuine satisfaction from playing through. All of the little nods this game has to Mario Paint just makes me wish that Mario Paint would get released as a Virtual Console title with this. Just throw in USB Mouse support and let those of us that owned the game enjoy the memories. Me and my friends would spend hours building silly NES Zelda dungeons or stupid songs with it. @themightyboost Great idea! You could draw your own maps on the gamepad too. @FLUX_CAPACITOR I agree, they should let you make the decision as to whether you're an experienced gamer or someone who needs a bit more hand holding. I also get annoyed with Nintendo not allowing voice chat in games like Splatoon and making it harder for people to exchange friend codes. Great preview. You answered a lot of questions that I had about the game! That's too bad that Amiibo support is limited to the retro templates though... wonder why that is? @larry_koopa Probably just a resource thing - easier to draw and animate pixel-art than the 3D-style models used in New Super Mario Bros. U, perhaps. If only I had enough money for this. Used it all on a Hogwarts Collection box set. Darn. I'm sure it'll be worth the wait though! Has Nintendo Life downloaded this title? or has Nintendo sent you guys a sneaky copy! Does the interface have the ability to view a list of levels made by friends? I can't wait to get my hands on this title looks AMAZING .. I'm still on the fence about this one. Everything I read about it is overwhelmingly positive and I believe this is a milestone moment in the franchise, but yet... something about it just doesn't grab me. 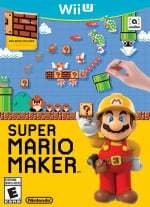 I mean, this certainly sounds to be much more advanced and feature heavy than "just another level editor" and when you get right down to it, this offers a platform for an infinite number of Mario levels and thus exceeds what any one Mario game could achieve. I guess my main question is: what justifies this as its own release? @MitchVogel Doesn't your comment answer your own question? Also this a Mario game that can really ONLY be possible on the WiiU thanks to the gamepad. @zackreed Not necessarily. I'm skeptical as to whether or not this can deliver 60$ worth of new, worthwhile content. When I say that, I don't mean in terms of levels, but in the tools themselves. What are we getting in this full fledged retail release that couldn't have been present in a hypothetical level editor that was released as DLC for NSMBU or even included in the initial product? @aaronsullivan Remember a few months ago when I said I was getting Spaltoon b/c I wanted to be normal for a change? Well I woke up this morning, looked at the headlines, and thought, "Man, it's a good thing we got Spaltoon or the whole summer would have been a waste." Not really looking forward to this, just Yoshi way out in October, which will never live up to the hype I have for it, already declaring it my favorite 2D platformer ever. Long wait made even longer when I know the EU got it in June. @MitchVogel I agree. Hopefully they'll do something like they're doing with Splatoon. A few new items every now and then. It's gotta happen. @MitchVogel #47 Agree with you. Since the announcement, I thought this should have been added to NSMBU in order to give that game a bit more "meat" and show to the market what the Gamepad could do. @FLUX_CAPACITOR We do actually have the choice to an extent. We can trick the system by messing with the Wii U clock. Still doesn't excuse Nintendo's decision, but it does turn it from a major setback to a minor annoyance. @FLUX_CAPACITOR I'm not sure where you got your info but you only need 5 minutes with the editor before the next set "ships" for arrival the next day. So you basically just need to create a single level, then set the clock forward, and repeat. @rjejr My kids are picking up Guacamelee quite a bit lately for 2D platforming fun, but Splatoon is practically a daily ritual. We are having to push them out the door to play outside sometimes (which is new for us in Summer), but the wife and kids are off to outdoor camping lifestyle for a few days while I finish preparing for work, so they'll get some real life + tan. So glad for Splatoon, though. It has been a memorable experience that I think may be the endcap to amazing Wii U experiences. The fantastic opening being Nintendo Land. With so much platforming goodness on Wii U, Super Mario Maker and Yoshi Whooly World are just going to cement it as the best platforming console since the SNES (NES?). Star Fox could go either way, but I don't see it as epic enough to be super memorable. And in my mind, Zelda will be the bright start to NX. How much is Nintendo holding close to its vest, though? Is there room for one more big surprise? I'm not seeing it. @aaronsullivan - Man that's a depressing read. No way I buy an NX if that's as good as it gets. Well maybe $99 for the NX Mini. I'm not saying my Wii U purchase was a mistake, but it's barely in passable territory, in part due to free WW HD - never played before - w/ MK8, and Splatoon. W101 was good but Pikmin 3's ending left a bad taste in my mouth. And Pokemon Rumble U was a lame attempt at a toy tech demo. At least it was only $18. Granted a large part of that is due to my being old and jaded, and liking my PS2 and Dreamcast so much, but I think I found even the Gamecube more interesting overall. My kids really dont' play Splatoon, too hard. Which is a good thing as they play too much of everything else, and once SMM releases I'll never get on my TV again. We are one sickly pale looking family. 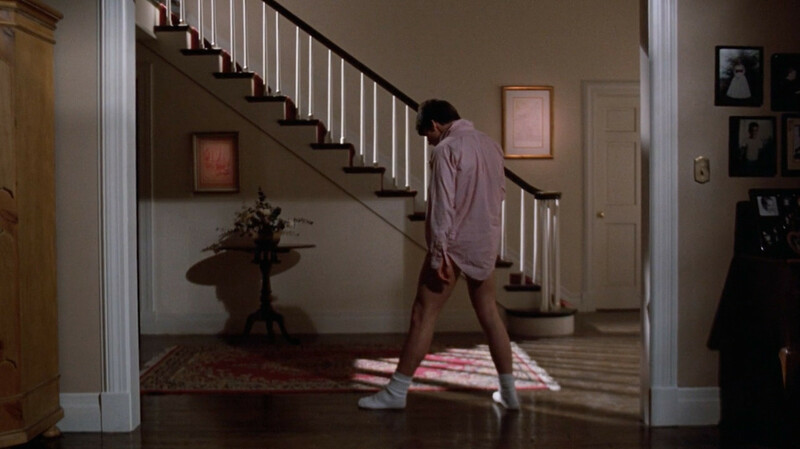 Enjoy your time home alone. @rjejr Cheer up you have Xenoblade Chronicles coming, right? I'm just not even trying with that one. For me and mine we got our $350 investment back with Nintendo Land alone though I know that's not the norm. Also, that is exactly what I am doing right now only with more clothing, more sitting at a computer and more staring through the screen thinking hard with intermittent typing. @aaronsullivan Forgot about XCX. Funny thing about that one though, I've spent more time playing the original Wii game on my Wii U than any Wii U game, so I consider that series a wash. And PS1 had the original and still best in the series Xenogears, and PS2 had 3 Xenosaga games, first was great, next 2 not so much, so it doesn't give the system any real benefit. Dreamcast had Skies of Arcadia and Grandia 2, 2 of my favorite JRPG. Wii U catalog is fine I guess, but a lot of "been there, done that", not that much new. Still better than the current PS4 line-up though, bu ti fit actually gets FFXV, FF7 remake, TLG and Shenmue 3, well Wii U can't match that as it currently stands. Give me SMG3, SM RPG, another Starfox Adventure open world game w/ spoken dialog, then we'll talk. The surprise being held back is that it doubles up as a Mario Kart track editor too. No? Plus a free download code a la MK8. I hope it gets super mario bros. 2 or Advance DLC? Bring Tryclyde, Wart and Mouser to the mix up. @gcunit erm what it acts as a mario kart track editor? what? @LacquerHead when did this come about?? ?